If you’re reading this series of articles in order, we just did the combining process to make firm sheets of dough. We now apply 2nd resting process on the dough sheets to make your noodles even better. 2nd resting is often neglected in or misunderstood when making ramen noodles. So, in this article, I’ll try to explain what roles it plays in making of good ramen noodles and how it should be done. 2nd resting is a process of primarily relaxing or removing the internal stresses from noodle dough that has been processed through combining. And, it also provides such effects as degassing, activation of enzymes, and others that are evident in 1st resting process. 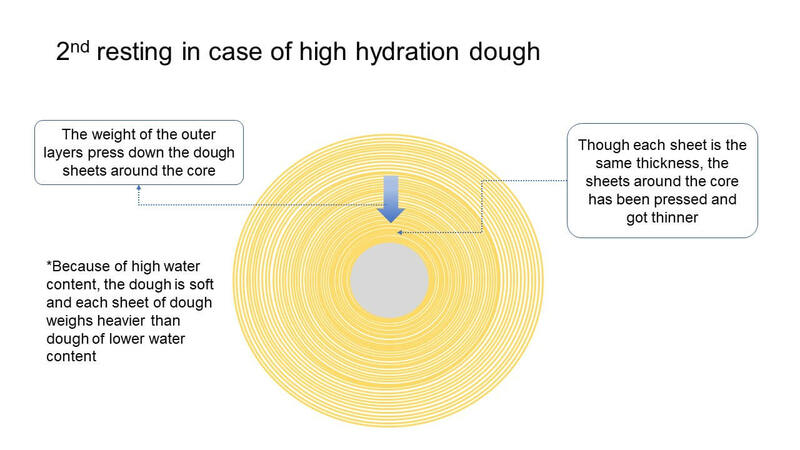 So, why do we need to rest dough? What good does it do to noodles? There are 3 major benefits 2nd resting brings to your noodles. 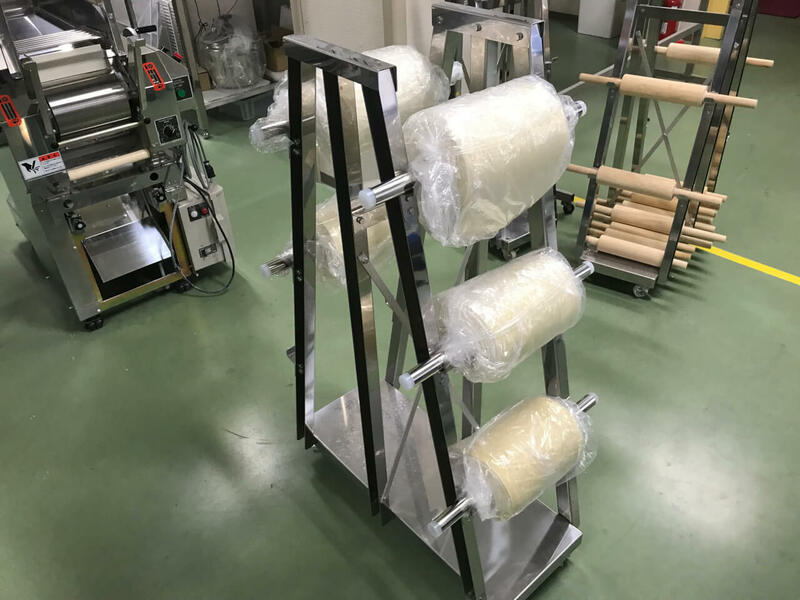 After combing process (strong force has been applied to dough sheet to develop gluten structure), inside noodle dough, it is very tense and tensioned. We need to relax this internal stress before going to the next process. Otherwise, the gluten structure inside dough may be ripped or damaged. There’s a guideline for proper resting time. Proper resting time varies for different water ratio. Basic rule is the lower the water content, the shorter the resting time should be. Also, the higher the temperature, the shorter the resting should be. 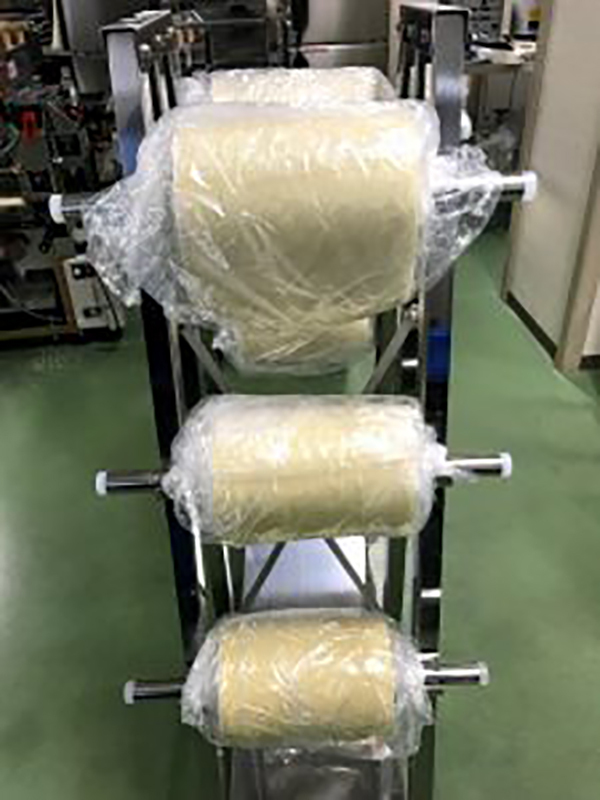 For example, for low water content noodle (20-30% water content), at ambient temperature (say, 25 degrees Celsius), the resting time should be 30 minutes. For medium water content noodles (31-38%), the resting time should be about an hour. For high water content noodles (over 39%), it should be around 2 hours. But, please note that it should change as the temperature changes. Another effect 2nd resting brings is pull small bubbles (that haven’t been removed in 1st resting process) out of noodle dough. Dough without air bubbles makes noodles that are genuinely transparent with great texture from well-developed gluten structure. Like 1st resting, we can expect the enzyme of wheat to function in 2nd resting as well. When the enzyme works moderately, it improves the taste and flavor of noodles and the condition of dough. Also, by doing 2nd resting thoroughly, it improves shelf life of noodles, the boiling time (shorter), and noodle texture life (time it takes noodles to get soft). With all these benefits 2nd resting process brings, it is hard not to apply it in your noodle making if you’re set to make great ramen noodles. So, please think about doing this next time. Here’s a bit of caution when you’re making high water content noodle. 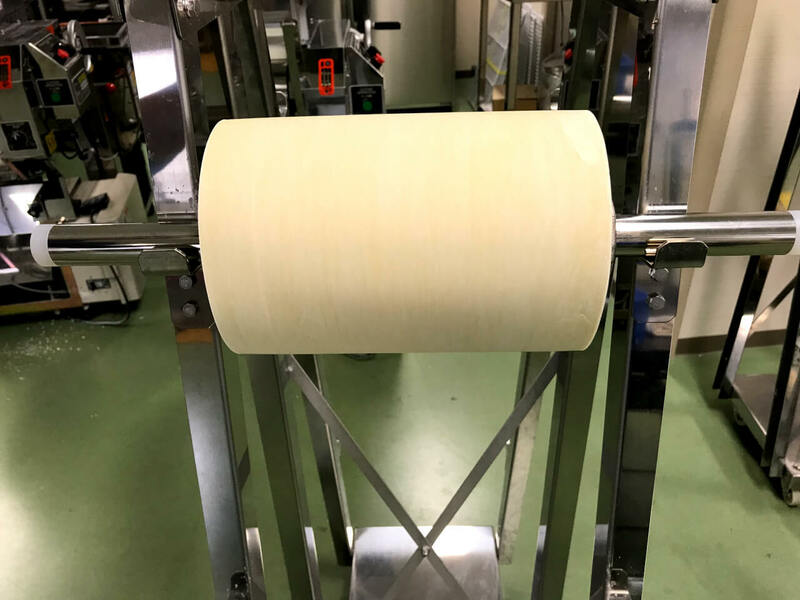 When making high water content noodle, the center area of dough may collapse or get stuck together because the weight of dough pushes the center area of dough down and also because of the long resting time. When it happens, please do the following. A. Do 2nd resting in smaller batches. To prevent the center area of dough from getting squashed from the weight of dough or long resting time, simply separate dough sheets into small batches to do 2nd resting. B. To prevent sheets of dough from sticking, apply extra dusting. Because gluten structure is complete after 2nd resting process, the next step is sheeting/thinning process. We will talk about proper way of thinning dough sheet in another article. In the meantime, if you have any questions about 2nd resting process, please feel free to contact me. Being an experienced culinary instructor of Chinese cuisine, he naturally took to the methods of ramen making. His expertise on noodles, soups, toppings, and other aspects of menu development help students learn quickly.